Sadly, DATA SILOS are not uncommon in large organisations but less talked about are BI & Analytics silos which are a sign of the times. Combined they are a big challenge to enterprise wide effective decision making and execution. 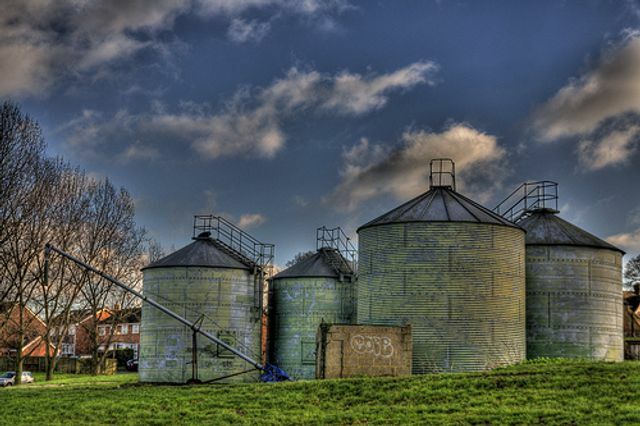 BI & Analytics (BI&A) silos are often the result of business leaders fed up waiting for corporate IT to give them the insights to make better decisions. Too little, too late. They use revenue budgets to license visually tempting BI&A products with data discovery built in. Hey presto! One business unit leader happy. The sting is in the tail however. The enterprise as a whole just cannot join up all the different data and BI silos.The symptom? Different teams and business units disputing insights and questioning who has the right data. Particularly evident in cross-disciplinary meetings. Go on- be truthful- does it happen in your organisation? This can be 70%, 80% and even 90% of data in an organisation. Imagine decisions relying on this partial view of customers, operations, the supply chain. Well- that unfortunately is commonly found in large, medium and small organisations. That is why insights end up as being misleading or even downright wrong. You are probably dependent on your ERP and other enterprise apps vendors. That in itself is an issue as most organisations have inherited a range of disparate and incompatible systems. Only this week I met a very large insurance carrier with 13 major legacy systems in the UK alone. The mantra was " Don't touch these legacy systems" which just perpetuates BI&A silos. This is the potential golden egg. Mind you, this only works effectively if the digital platforms wrap around the legacy systems as part of an enterprise-wide strategy and commitment to digital transformation. Digitise customer journeys and the complete supply chain to deliver an Amazon like user experience. That's why it's not just the customer-facing processes that need addressing. The whole chain, including subcontractors & service providers needs to be digitised to deliver products, services and a delightful experience to customers. The digital platform with embedded analytics can deliver the insights to all users across the complete chain who require it to make and execute optimal decisions. BUT ONLY IF the platform can also access and surface data from the existing legacy systems. Unstructured, semi-structured as well as structured. Access it & join it to the new data from the new digital platform. Today. "See every claim, see every risk". Mind you you will be able to see and act. One final word of advice if you are planning AI, RPA, Robotics, machine learning projects. If you cannot access all the data now, how do you expect AI and the rest to be effective? Get your priorities right and remove today's data and BI&A silos. The biggest challenge today is navigating the tidal shift that has moved power, influence and budget from corporate IT to the business units. It used to be that the corporate BI team was the only game in town when it came to turn data into insights and action. They did it all. Today, business units no longer wait for corporate IT or BI to build or change something; they do it themselves. Thus, the role of the BI leader is changing from a technology dictator to a technology facilitator. The era of self-service is upon us and BI leaders need to adapt. Self Service BI is spectacular. Providing you've got a FTE sitting there cleaning the incoming data into something usable.